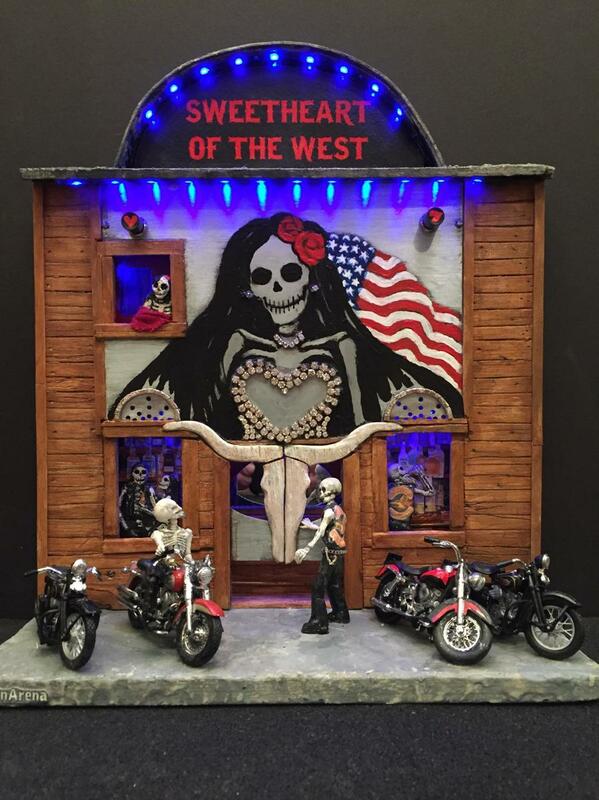 Ron's entry into Houston's Lawndale Art Center's annual Día de los Muertos Retablo Exhibition. It was sold at auction on Nov 2. ADDITIONAL WORKS IN THIS SERIES CAN BE MADE ON REQUEST. -LED lighting, switched, both inside and out, using battery or A/C adapter power [all included].